A Million Little Things Round Table: Did Regina Overreact to All of the Secrecy?! Maggie has a rough road ahead of her. On A Million Little Things Season 1 Episode 7, a harmless game of Dare caused Maggie and Gary to face the reality of her prognosis and the fact that they don't see eye to eye on it. 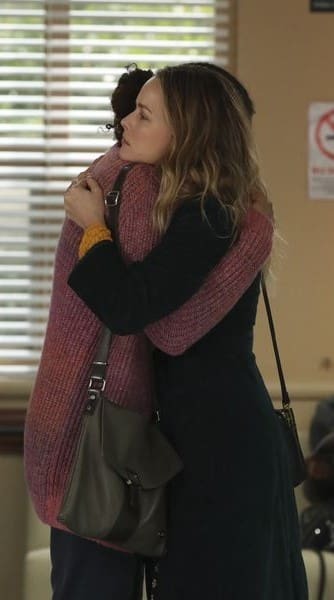 Regina processed the reality of Rome's depression and that their friends knew before she did, and Eddie and Delilah went to a sonogram appointment. Join TV Fanatics Rachelle Lewis, Jack Ori, and Christine Orlando as they discuss the hour. Did you appreciate more focus on Regina? What did you think about her reaction to Rome's health scare and Maggie and the others knowing about him before she did? Rachelle: Yes, I loved the focus on Regina. I think after Rome’s confession it was good to see her in the aftermath of her dealing with it or catching up as she referred to all the new information. I thought her reaction to Rome’s health scare was extreme but completely understandable considering the bomb he dropped on her the night before. Her reaction was coming from a place of love and concern. I don’t think we have seen the end of her reaction to other people knowing about Rome’s suicide attempt before she did. I think she was processing so much at once that there is going to be more anger and resentment to come. Personally, I don’t think she can be mad at Maggie because she was Rome’s therapist for a hot second, even though she didn’t consider herself in that role. I do think she has a right to be mad at Gary and Eddie who are supposed to be her friends, too. 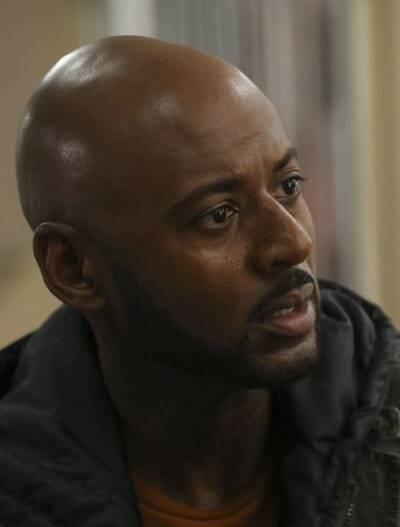 Jack: Yes, all this time we've seen Rome dealing with his mental health issues on his own, so now that Gina knows, I think it's important to see how it affects her. For him, that suicide note is ancient history...for her, she just found out that her husband once wanted to die, and she's scared. I totally understood her reaction to learning that Maggie and the others knew about his suicide attempt before she did. Rome wasn't having an affair with Maggie, but it must have felt like that for her to know that he told another woman before he told her. Maggie was acting as his therapist at the time and helped save his life, but that wouldn't lessen the pain for Gina. I was OK with Gina's overreaction to Rome's health scare. What I was not OK with was the doctor focusing almost exclusively on it being another suicide attempt. First of all, that just increases stigma and makes it harder for people to disclose that they have/had suicidal thoughts. Secondly, from Rome's symptoms, the first thing I thought was a heart attack, and it didn't seem like the doctor was considering anything but a potential overdose. I'm glad it turned out to be a kidney stone and not anything life-threatening, but the doctor's attitude irked me. Christine: Regina had every right to be upset, hurt, and scared. She should have been the first person Rome confided in, not the last. And in reality, he didn’t confide in her at all; she had to find that letter to get the truth out of him. I was thrilled when Gary pointed out that maybe Regina would have trusted Rome about not taking something and harming himself if he had actually been honest with her. Was Maggie right to distance herself from Gary when she realized it's too hard for him to accept her decision? What was the meaning of her final scene with the flashes of everyone? Rachelle: She absolutely had the right to distance herself from Gary, and she should. Maggie put them both in a terrible situation, especially since she knows Gary truly does not accept her decision. She needed to walk away because she is clearly getting sicker, and Gary will not be able to watch her die. I think the final scene with the flashes of everyone is her realizing she has a lot to live for and people who genuinely care about her. I am not sure she has changed her mind, but I think her feelings for Gary, as well as the rest of the friends, is definitely making her rethink her decision to not have chemo. 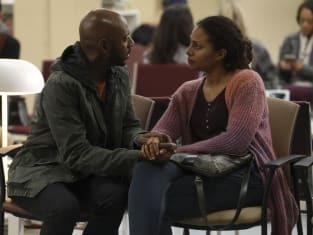 Jack: I think she was right because otherwise, she and Gary are going to keep fighting, and he's going to keep trying to convince her to go for the chemo. Not only is that not what his final memories of her should be, but all that stress has to impact her prognosis. Plus, it's just too hard for Gary to watch her die. 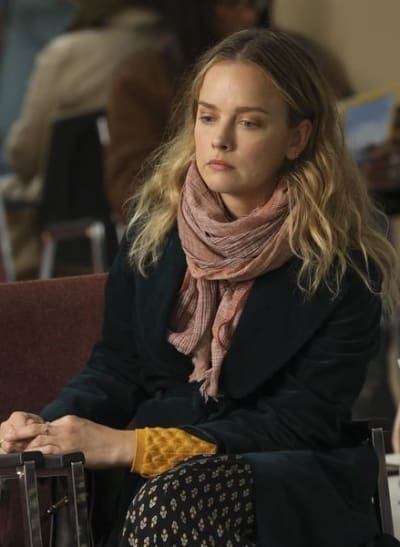 I thought the final scenes were her realizing that she has deeper feelings for Gary than she admitted and that she's questioning whether she made the right decision. I'm not sure she will change her mind, but it felt like she was going in that direction. Christine: I don’t think there’s a right or wrong here. Gary cares deeply about Maggie and watching her die is tearing him apart, but Maggie has the right to make her own decisions about her health. That said, I wonder if that final montage was the reality of actually dying of cancer finally hitting her, and I’m hoping she will change her mind about treatment and it’s not too late. Eddie had a mature response after the sonogram, but do you think he can keep pretending like the baby isn't his? Rachelle: I loved everything about his response. He has manned up for sure when it comes to the baby. I do not think he will be able to keep pretending the baby is not his. Once the baby is born, he is not going to be able to stay away and deny his parental rights. I don't think he will be able to deal with being "Uncle Eddie" to his own child, especially if Delilah moves on with some other guy someday. Christine: No. Eddie adores Theo, and I can’t imagine he’s going to be able to watch his child grow up without a father, or worse yet, watch Delilah eventually become involved with someone else who would fill that role. He’s going to want to be in this child’s life, and it wouldn’t surprise me if he were secretly hoping he and Delilah will get back together so he can be close to this child. Katherine has a potential new love interest. React. Rachelle: I thought it was good she was moving on and creating her own life. Katherine deserves to find someone who loves and accepts her as she is, as well as someone who will put her first. It was fitting she ran into Gary, who was not her biggest fan when she was on her date. I liked that they had a moment of understanding that they have not had before. I am interested to see how they have Katherine move on with a new love interest but still stay involved with the friend group outside of Eddie. Maybe she won’t because it seems Jon was her only ally. I am very intrigued by her storyline. Jack: I am glad that she is creating a life of her own and her co-worker was right that being a workaholic is not good for her or a good example to set for Theo. I'm not sure about this guy, but it's good she's moving on. (Just in time for Eddie to flip-flop back to her, I suppose. LOL) I liked her conversation with Gary. I think he was glad to see her happy while he was trying to figure out this Maggie thing. Christine: I think it’s way too soon to get involved with anyone, but I do agree with Gary. Katherine has the right to move on and be happy. She deserves to enjoy her life, but I hope she doesn’t jump into anything because at this point it will be a disaster. On a scale of 1-10, how much do you enjoy the relationship between Gary and Danny? Rachelle: 10. I think Gary is what Danny needs, as a friend and father-figure. He is like a big kid, so Danny can relate to Gary, but he is not judgmental like a parent. I think they have a special bond. 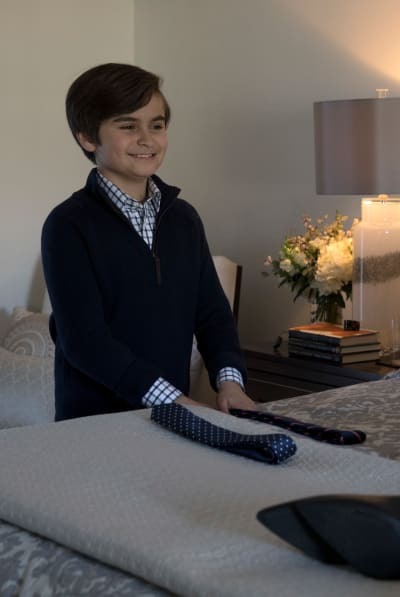 Danny would not have asked Gary to play video games with him and Elliott if they did not have a special connection. I hope we get to see more of this relationship. Jack: 10. I love that Danny has an adult he can talk to now that his dad is gone and who is totally cool with him being into another boy. Christine: Definitely a 10. Every kid deserves an adult they can trust and confide in, and unfortunately for Danny, Delilah seems clueless about her son being more attracted to boys than girls. Danny is really lucky to have Gary there to ask advice from and confide in. 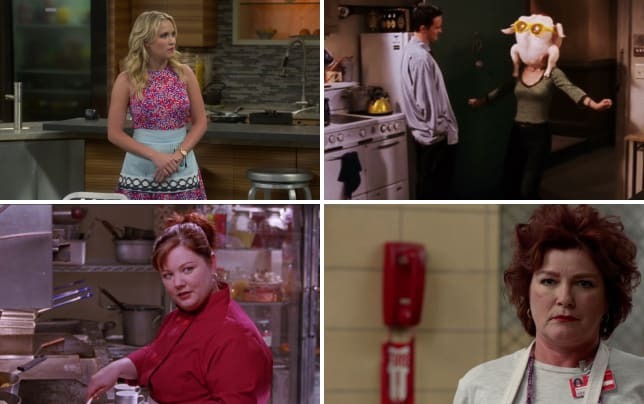 What was your favorite scene, quote, or moment from the episode? Rachelle: There were so many good moments, but I really liked how Eddie told Casey, the kid he is selling his song to, that if Casey did not put the bottle down, he would end up like Eddie someday. He was forced to sell a great song to someone like Casey. It was awesome because Eddie realized he had to sell the song for his family, even the baby he is denying is his. Plus, Eddie recognized what he had lost, and I think he was genuinely giving advice to Casey he wished someone had told him years ago. Jack: Maggie having that moment in front of the mirror was so powerful! I also liked Rome and Gina deciding to go on a date. I'm also thrilled that the episode picked my favorite Elton John song as the theme song for the night, and I loved Gary and Maggie singing karaoke! Christine: I liked Gary keeping things real with Rome in the hospital. He kept Rome from feeling too sorry for himself or blaming Regina for making him drink the charcoal, and he made me laugh more than once. It's your turn, Million Things Fanatics! Hit the comments with your answers! 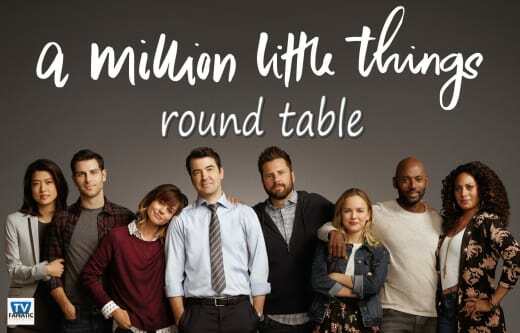 A Million Little Things airs Wednesdays on ABC. An all-new episode will return November. 28. Until then, you can watch A Million Little Things online here via TV Fanatic! You're unbelievable. You know when you win this case, Henry is going to make you partner. Permalink: You're unbelievable. You know when you win this case, Henry is going to make you partner. Regina: I really didn't want you to go to your ultrasound alone. Delilah: Don't worry about it. Permalink: I really didn't want you to go to your ultrasound alone.